Photo courtesy of the Santa Clara County Office of Education Facebook page. Santa Clara County’s National Bilingual/Multilingual Learner Advocacy Month showcase will take place on April 25 at the Santa Clara County Office of Education, 1290 Ridder Park Drive. 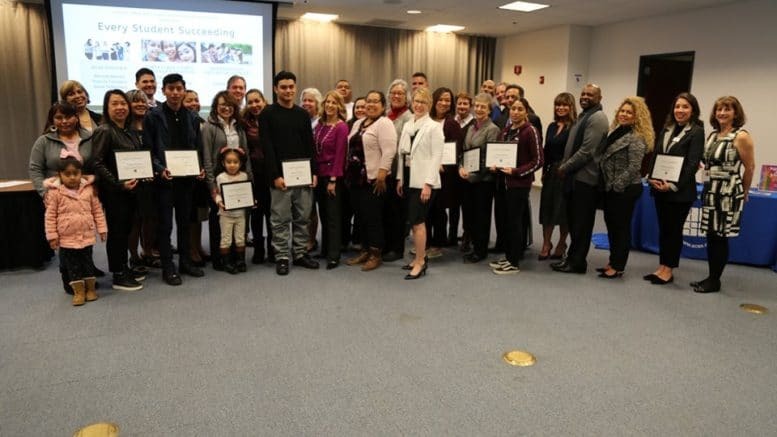 Teachers, parents, educators and the rest of the community are encouraged to celebrate Santa Clara County’s commitment​ to educational equity and successful programs for bilingual/multilingual learners. The purpose of the showcase is to honor the rich assets of bilingual/multilingual learners, as well as recognize champions advocating for bilingual/multilingual learners. For more information, click here or contact Keysha Doutherd at keysha_doutherd@sccoe.org. Be the first to comment on "Celebrate the County’s commitment to National Bilingual/Multilingual Learners"